Fits 1996-1998 Ford Mustang Base models with the 3.8L, V6 engine. 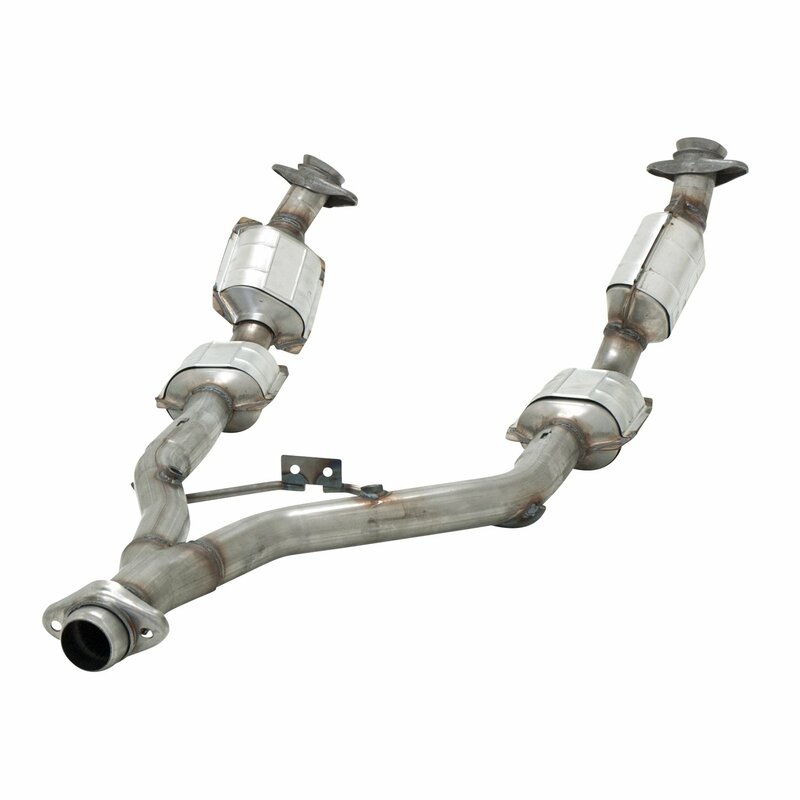 Flowmaster's Federal legal direct fit catalytic converter is for the 1996-1998 Mustang with the 3.8L V6 engine. This stainless steel assembly is a three piece unit that replaces the complete factory assembly. These converters meet the USEPA standards and include a 25,000 mile emissions, and 50,000/5 year exterior warranty. Please note: These USEPA Federal converters are not available for sale or use on vehicles licensed or operated in the state of California or states that have adopted California emissions standards.